Flash Mob @ MELT (queer) Picnic! Any queer or queer friendly people interested in doing something exciting? 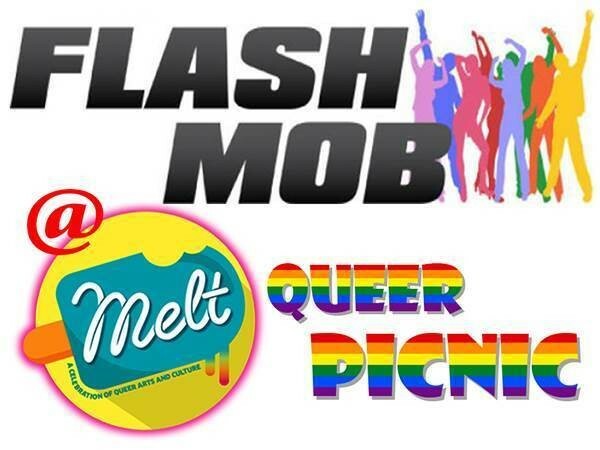 Then... come and join the Flash Mob @ MELT (queer) Picnic! Free event, FREE Dance Lesson, and LOTS OF FUN! Flash Mob @ MELT Picnic will be on Sunday, 7 February 2016. Very easy, simple and repetitive dance moves. Can be easily learnt within one dance practice. For more information including the exact practice location, please send a message. MELT festival: A Celebration of Gay, Lesbian, Bi, Transgender, Queer Arts and Culture 2016 at Brisbane Powerhouse, New Farm, Queensland, QLD, Australia.